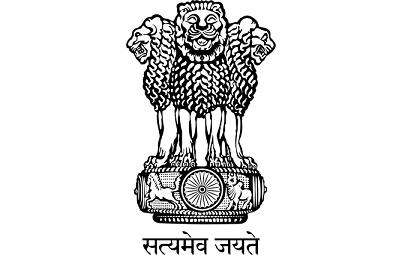 DEITy - Department of Electronics and Information Technology, Government of India supported Team AcYut from July 2012 to October 2015. They supported the development of AcYut 6. Tavant Technologies is a niche IT solutions & services provider that leverages its expertise to provide impactful results for its customers. Tavant is known for its engineering excellence, passionate employees, and long-lasting customer relationships. Headquartered in Santa Clara, California and founded in 2000, Tavant is an ISO 27001, SAS 70 compliant and SEI-CMMI level 4 organization. Tavant's employees delight their customers through their passion and excellence. Every time. Without exception. BITSAA International works to unite BITSians all over the world, relive the passion we share, build connections that can help each other and give back to BITS a better infrastructure and higher quality of education. The Company is a pioneer in laying down systems for smooth and orderly conduct of the business. The strength of the company lies in its highly trained and motivated work force that covers various disciplines and has vast expertise. Oriental specializes in devising special covers for large projects like power plants, petrochemical, steel and chemical plants. The company has developed various types of insurance covers to cater to the needs of both the urban and rural population of India. Optimizing IT investments while constantly evolving more efficient business models is a major challenge that most organizations face today. Sierra Atlantic's Innovative software solutions across several technology platforms, help customers Transform themselves to stay ahead of competition and Optimize their business processes. Force10 Networks is a technology leader that provides the reliable infrastructure required to build and secure intelligent services networks. Force10's products deliver the scalability, reliability and application awareness to cost-effectively deliver content from the enterprise or converged network to the mobile business user or consumer. AcYut is an ambitious project in the rapidly expanding field of humanoid robotics. Developed completely by the students of BITS Pilani, AcYut is India's first Indigenously Developed Humanoid Robot. The team consists of some of the best brains of the country working on the humanoid. AcYut has been widely covered by national and international media.